Seconds out… round five! Yes, four years after the resoundingly awful Underworld: Awakening (2012), the world is treated to yet another unwanted, unneeded, unnecessary, and unwatchable Underworld movie. Nothing has changed. The Vampires and the Lycans are still at war with each other (though the Lycans appear to have the upper hand), Selene is still an outcast from her fellow bloodsuckers for killing Victor way, way back in Underworld (2003), blood is still the most important commodity on both sides, Kate Beckinsale still looks great in skin-tight black leather, and the plot makes about as much sense as building a dam from ten packs of waffles. It’s complete and utter tosh, and you get the sense that no one was really taking this seriously; not one person. By now, any movies in the Underworld franchise that find a release (and Alexander Corvinus help us, there’s another one in the works), are purely for the fans only. They will make a certain amount of money – so far Blood Wars has made over $75 million, more than double its production budget – and they’ll gain a respectable (new) lease of life on home video. For the makers, it’s a win-win situation, and to some degree, it’s the same for the fans. 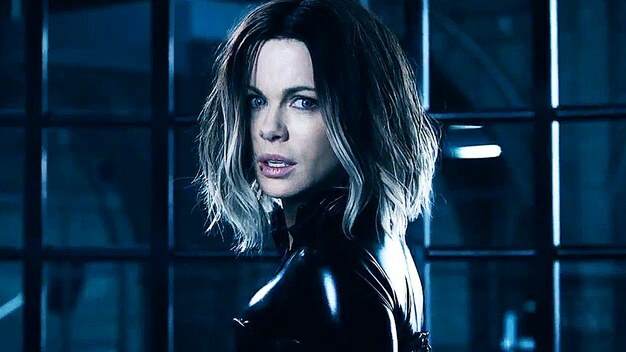 Kate Beckinsale as Selene + warring Vampires and Lycans + shoddy CGI effects + incomprehensible storylines and dialogue + the same steel blue lighting effects in each movie + poorly edited action sequences = the franchise that good taste can’t kill. 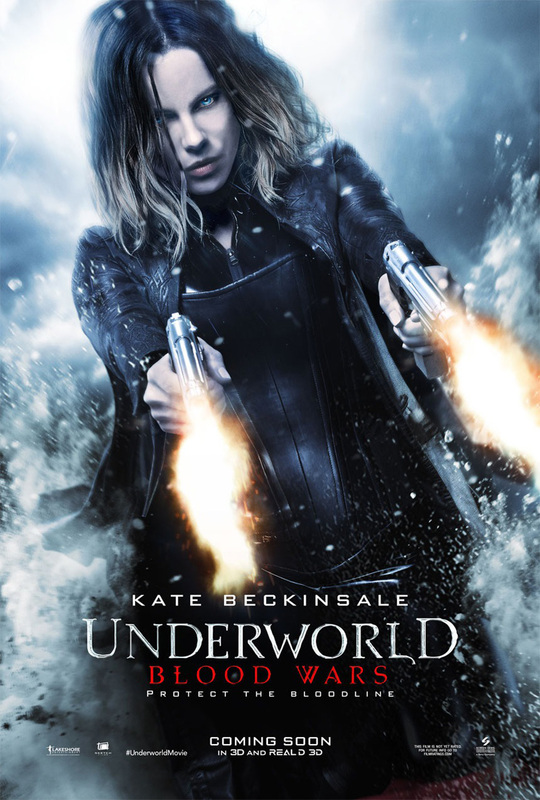 Like the Resident Evil series, which also foists a movie on us every few years, the Underworld movies feature a strong-minded, invincible heroine, and the merest interest in logic or credibility. As long as there’s a fight scene every ten minutes, and the villains are appropriately nasty and conniving and amoral, then nothing else is really needed. Well, except for an establishing shot to set up the next instalment, that is. That these movies continue to attract the likes of Beckinsale and Dance is possibly the only thing that’s impressive about them, but not even Beckinsale can do anything with lines such as, “There is no beginning, there is no end. There is only the coming.” That’ll be Underworld: Dead Poor then. Rating: 3/10 – the first truly “meh” movie of 2017, Underworld: Blood Wars has all the attraction of root canal work and a rectal exam put together; unfailingly predictable, and trite on almost every level, the directorial debut of TV helmer Foerster readily shows that the producers are firmly in charge and there’s no room for originality – at all.